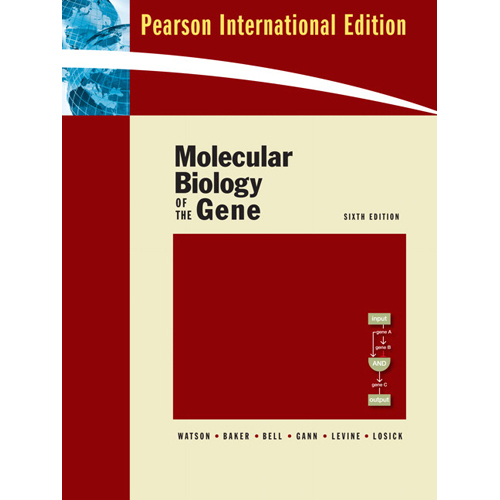 The classic textbook in molecular biology, updated with new chapters, new information, and new media. Completely up-to-date with the latest research advances, the Sixth Edition of James D. Watson’s classic text, Molecular Biology of the Gene retains the distinctive character of earlier editions that has made it the most widely used book in molecular biology. Twenty-two concise chapters, co-authored by six highly respected biologists, provide current, authoritative coverage of an exciting, fast-changing discipline. Two new chapters discuss the emerging research fields of Regulatory RNAs (Chapter 18) and Genomics and Systems Biology (Chapter 20), and give particular focus on RNAi, microRNAs, the opportunities offered by the new generation of genome technologies, and the elucidation of gene regulatory networks. Every chapter includes thorough content updates, and where relevant, the inclusion of medical insights that have emerged from our understanding of basic molecular biology, and references that direct students to explore the expanded companion website.